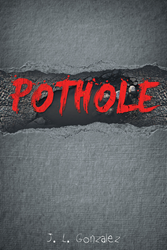 Recent release “Pothole” from Page Publishing author J.L. Gonzalez is both intriguing and provocative; this work keeps the reader guessing through the twists and turns of an unexpected plot. J.L. Gonzalez, a father, night auditor for a major hotel chain, artist, devoted writer and author, has completed his newest book “Pothole”: a gripping and potent journey of intrigue, mystery and manipulation. Published by New York City-based Page Publishing, J.L. Gonzalez’s profound work will leave the reader on the edge of their seat! Three friends have their lives turned around by a ripple effect of urban calamities. The plan was set; all for one and every man for themself. Jerry Cohen is an aspiring painter who wants to join the league of legendary street artists. Cohen is determined to prove this to Middle America and his departing girlfriend Stacey Brookes, the mother of their two-year-old daughter, Angelina. Jerry, self-proclaimed as JERS, and his friends are all seeking for a way to escape the dismal streets on the outskirts of Cleveland, but the results are daunting. Failing miserably as a prolific artist, JERS clinches onto his last bit of hope. This leads to a breakthrough until disaster rears its ugly head not long after destroying both of his friend’s lives first. Brendon Bro Sanders is an ex-marine and is also the main drug dealer on a dingy dead end street named Waverley place. Sanders has no interest in art and says he’s “just the lookout guy,” but loses site of his goals by no fault of his own. Bro has his mind set to make ends meet before leaving his narcosis confinement to a location fit for raising a family with his longtime neighbor and partner, Angie Floyd. Sanders’ reconnaissance derails his wishes to live honestly by the incompetence of Scott Cotto. Scott Cozo has many insecurities, one being second to best friend of Bro. Three becomes a crowd as jealousy plays into Scott’s disloyalty, setting a trail of deadly mishaps for the small crew of urbanites. Finding refuge at a relative’s house condemns Cozo, tangled in a web of human trafficking leading to answers of his haunting youth. Life becomes difficult, leaving some barely able to overcome the bumps in the road, unfortunately deadly for others after hitting a pothole. Readers who wish to experience this mesmerizing work can purchase“Pothole” at bookstores everywhere, or online at the Apple iTunes store, Amazon, Google Play or Barnes and Noble.